The first day I showed up at the Power plant to report to work as a new employee, it took me a little while to find the parking lot where I was supposed to park. There were construction people all over the place, large equipment being moved, and I had somehow turned my directions around 90 degrees when I came through the construction gate. I started heading up to the coal yard before I told myself that the little green shack I had past back by the main plant was probably where I needed to go (I never recovered from my perception of which way was north. I always felt like west was north, so I constantly had to stop and tell myself that the coal yard was north). So, having arrived in the parking lot about five minutes late, I was just in time to meet Steve Higginbotham the only other summer help during the summer of 1979. Well, there was one other guy, but he quickly joined a Brown and Root construction crew because he was a welder and they were getting paid a lot more than the $3.89 per hour the summer helps were blessed to receive. So Higginbotham and I walked together into the main office that morning. 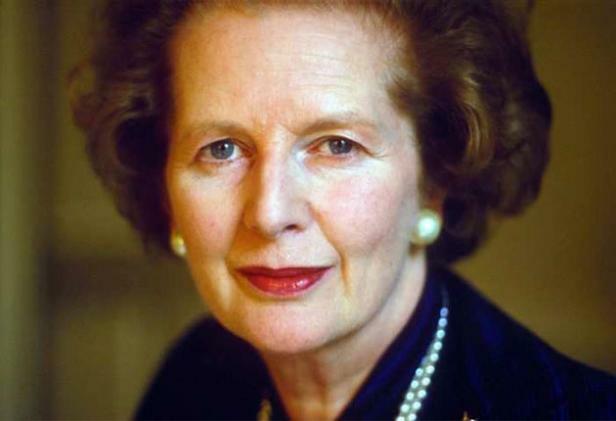 He was about 35 years old with red hair, freckles and sort of reminded you of Margaret Thatcher only shorter with a more prominent forehead and wider chin and he had a Georgia accent. He had worked as a Pinkerton guard at the plant before advancing to summer help. He explained it to me like this: “If I get my foot in the door by being a summer help, they will be more likely to hire me as a permanent employee.” (somehow, I began to think that this probably wasn’t the best strategy for Steve to take. I thought perhaps a surprise attack would be more effective, where they don’t know you at all when they hire you). The company hired summer helps because there was a tax write-off for hiring college kids during the summer to give them a real life experience (I guess). Steve explained to me later that he really wasn’t going to college, but told them that he was going to go back to school to finish a degree so that they would hire him, but he really wasn’t going to do that. 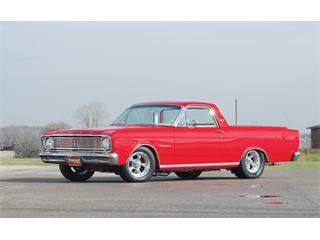 He drove an old Ford Ranchero (which is what inspired the El Camino). It was all beat up, and had the manual gear shift on the steering column, to give you an idea of how old it was. Below is a picture of one in good condition. His car however had dents, rust, and an assortment of trash in the back, and it squeaked when it hit a pothole as the car bounced on the springs. I didn’t own a car and had just borrowed my family’s car to drive to the plant that day, so when Steve asked me if I would like to ride with him to work each day I jumped at the opportunity. I told him where I lived and he said that he would be by to pick me up in the morning. I am the kind of person that likes to arrive at work at least 10 or 15 minutes early, so I was getting a little anxious the next morning when Steve didn’t show up. Finally, when I was about ready to ask my parents if I could borrow the car again, his beat up old car came puttering down the street… It turned out that Steve was the kind of person that likes to show up at least 5 minutes late each day…. Something I was going to have to get used to that summer. This is an important point in the story because those 5 minutes on one particular morning made all the difference in my outlook on what it meant to be working at a “Power” plant. First, let me tell you a little more about Steve Higginbotham, just so you can appreciate his unusual character the way that I did. As an 18 year old summer help, not having had my encounter with Ramblin’ Ann until later, where I learned the fine art of rambling (see the post: “Ed Shiever Trapped in a Confined Space with a Disciple of Ramblin’ Ann“), I was amazed by the way Steve Higginbotham could talk and chew gum or sunflower seeds at the same time — all the time — non-stop. His open mouth would move in a circular motion while chewing and talking. From the time he picked me up in the morning to the 25 mile ride to the plant, and until I arrived home in the afternoon, Steve Higginbotham was talking about something to someone and chewing either sunflower seeds or gum the entire time. It wouldn’t have been so bad if I had been learning something, but I can’t think of one thing that he told me that was useful all summer. I think I paid him $15.00 each week for the privilege. Gas at the time was around 89 cents a gallon. Twice each week we would sweep the entire maintenance shop from one end to the other. I would start going down one half, Usually the north side that has all the machine shop equipment, and Steve would start down the south side where the welders were. Invariably, he would catch an unsuspecting welder off his guard and start talking to him, and before you knew it, I had finished my side of the shop and was starting back the other way up the other side, where I would meet up with Steve and a half-dazed welder somewhere around the Welder’s lunch table, which was about 50 feet from the spot where Steve had started (I would say the shop is about 75 yards long) I didn’t mind, because I liked working and it felt good to look around at the clean floor and see that I had done something noticeable. I had worked in a Hilton Inn restaurant as the night janitor when I was in High School, and the kitchen was almost as long as the maintenance shop. I would spend six hours each night sweeping and mopping the kitchen, and vacuuming the restaurant and bar. So, I always enjoyed sweeping the floor. Mondays and Fridays were days where we would go to the soon-to-be park and pick up trash. The rest of the time I was able to work with the maintenance crews. For more information about picking up trash at the park, read the post: “Mud, Maggots and Motor Vehicles with Dee Ball“. All the company employees at the power plant were fitted for a special set of earplugs that were made out of a Silly Putty looking material because there was going to be a “Boiler Blowdown” on Unit 1 (which was just finishing construction). I suppose that most people (except the old timers) at the plant today have not experienced a boiler blowdown like the one that is done on a new power plant, since a new base unit hadn’t been built in a long time. We were told that when you hear the 2 minute warning make sure you put your earplugs in, because it is going to be real loud. We were reminded the day before to have our earplugs handy the following morning because that was when the blowdowns were going to start. A boiler blowdown is when they run a big steam pipe right off of the high pressure section of the boiler and point it out off the side of the boiler and after they have built up the pressure as high as they can go without blowing the place apart, they flop open the valve and the steam is released quickly blowing out any unwanted material from the steam tubes, such as welding rods, tin cans, shoes, lunch boxes, a lost construction foreman, or anything else that was accidentally left in the steam pipes when they were assembled. I remember someone saying that they had a come-along go flying out of one once during a blowdown. The first blowdown was the loudest, and then after that they were slightly less forceful each time. The next morning on the way to the plant, I could see steam shooting out of the boiler from about 10 miles away. As we pulled into the parking lot, the steam was shooting out about 100 yards from the big pipe on the side of the boiler creating a very loud rumbling sound that made your body shake all over. This is exactly how I remember what happened next….. I climbed out of the car and looked up at the large plume of steam shooting out of the boiler and I said to Steve, “Well, that’s pretty loud, but it’s not THAT loud!” Just at the exact moment that I finished that sentence, the ground started to shake, and my lunch box and hardhat went flying as my hands went to my head to cover my ears! I hit the ground and rolled sideways to see that the plume of steam that had been blowing out of the boiler had grown into a huge white roaring demon about 500 yards long as it reached directly over my head to the point where the condenser discharges water back into the lake behind me! The sound was so loud my whole body was shaking from the force, as we were directly in line with the steam pipe. It continued for about a minute or less and then abruptly shutdown back to the much smaller quieter plume of steam that had been there before. I stood up, but my legs were all wobbly. I picked up my hard hat and lunch box and wobbled my way into the maintenance shop. My ears were ringing and I remember that I couldn’t hear very good and I was pretty upset about my possible loss of hearing. 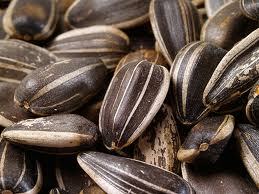 Then I wondered to myself why I hadn’t heard the two minute warning, and in my muted state I looked around at the mechanics standing around and my eyes settled on one person who was chewing on sunflower seeds or gum, and was talking to someone, though I couldn’t hear his voice — and I knew why! I couldn’t hear the 2 minute warning because we were 5 minutes late getting to work! We were always 5 minutes late! This bummed me out the rest of the day. As the day went by my hearing was returning, and by the time we were heading home, I could hear Higginbotham talking very clearly all the way to the house. Maybe this would have been a good time for the earplugs. That night as I lay in bed, I could hear the boiler blowdown continuing 25 miles away every half hour or so. I thought about how much power it took to create that much force. It gave me a great respect for the power harnessed in the power plant and how it takes all that power and turns the majority of it into electricity to serve the state of Oklahoma.